I was originally going to post this as a comment to a Siliconera article but realized it was getting pretty darn long for a comment and might be better off as its own thing over here on TAY. This post is in reaction to clicking on articles and without fail seeing tons and tons of people in the comments doing nothing but whining about the games they want but are NOT getting, without even a shred of thanks for what we ARE getting, or even burying whatever thanks IS getting posted in the process. I don't know if anyone from Bandai Namco will ever see this, but I want to post this as if that were the case anyway. As a huge fan of the Tales series who has at least one copy of every title you have ever localized, thank you so much for listening to us and bringing more of the games over to the west. It was only a few years ago that every time a new Tales game was being announced in Japan I forced myself to NOT get excited because the immediate assumption was that we were NEVER going to get it. I was so convinced of this that I told myself and others that I would buy two copies of Tales of Graces F if the stars aligned and you were to localize it. Yet you did, and true to my word I bought two copies - one of which is the European Day One Edition because North America didn't get any kind of special edition. 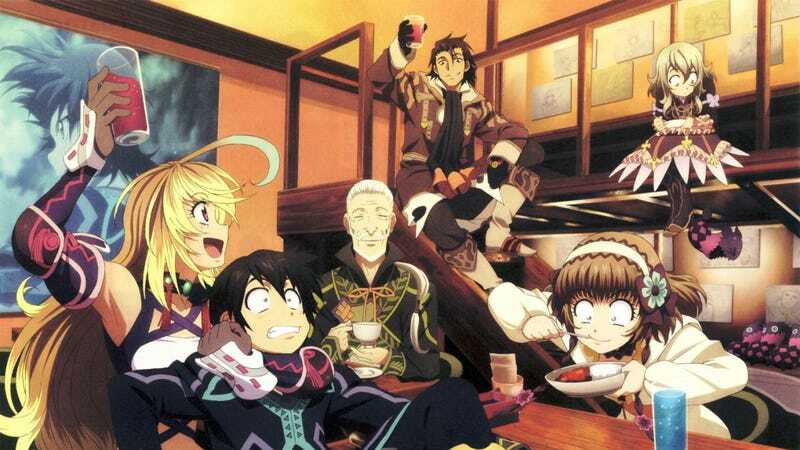 Then, you blew my mind by announcing Tales of Xillia for the west mere months after Graces F was released, this time with a Collector's Edition. Then Xillia 2, and recently you released Tales of Hearts R. Now, Tales of Zestiria has been announced for the west at nearly the same time it was announced for Japan. Oh how times have changed. The quality of the Tales of Hearts R localization shows that there's still lots of room for improvement in the decisions behind your localization process, but still - thank you for bringing that game over as well. I know how releasing a Vita game must have had a lot of financial risk attached to it. I finished the game recently and really loved the experience despite the laughable choices that went into the English translation, and the lack of an English dub which only made those choices harder to ignore. Thank you for taking risks with other properties such as Ni no Kuni and Project X Zone. Ni no Kuni was absolutely delightful to play through, and while I still haven't gotten around to playing my copy of Project X Zone, at least SOMEONE gave us a game with Mega Man characters in 2013. I only really have one request: If the .hack// franchise ever gets another game, or series of games on a home console - including HD remakes - please keep the .hack// fans in consideration. I'm not going to beg, or demand that you bring such a game to the west. I just want you to be aware that there is a .hack// fanbase in the west as well - and when you think about it, there is some overlap between the Tales fanbase and the .hack// fanbase. I'm someone who considers himself a fan of both series, and I know I'm not alone in this. The .hack// fans can either happily give you our money as I have with all the Tales releases in the past three years, or we could dejectedly put our wallets back in our pockets once again. If or when the opportunity presents itself, the choice is yours. In closing, I just want to once again say, "Thank you, Bandai Namco." Thank you for taking me to the worlds of Aselia, Inferia, Celestia, Sylvarant, Tethe'alla, Auldrant, Terca Lumireis, Rieze Maxia, Elympios, and even the lesser known Terresia, with more worlds to come. You've made me quite the happy Tales fan, especially in the past 3 years. P.S. Two swords are better than one, right?